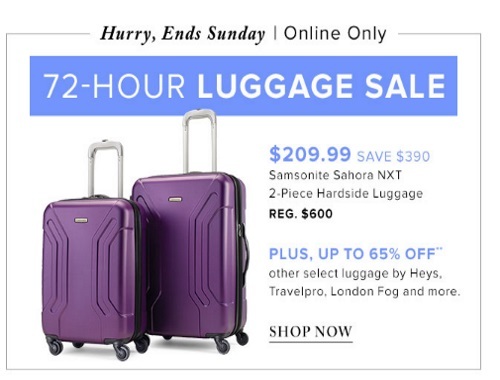 Hudson's Bay has a 72 Hour Luggage Sale on now! Plus save up to 65% off other luggage by Heys, TravelPro, London Fog and more. Offer are online only and end Sunday March 19, 2017.